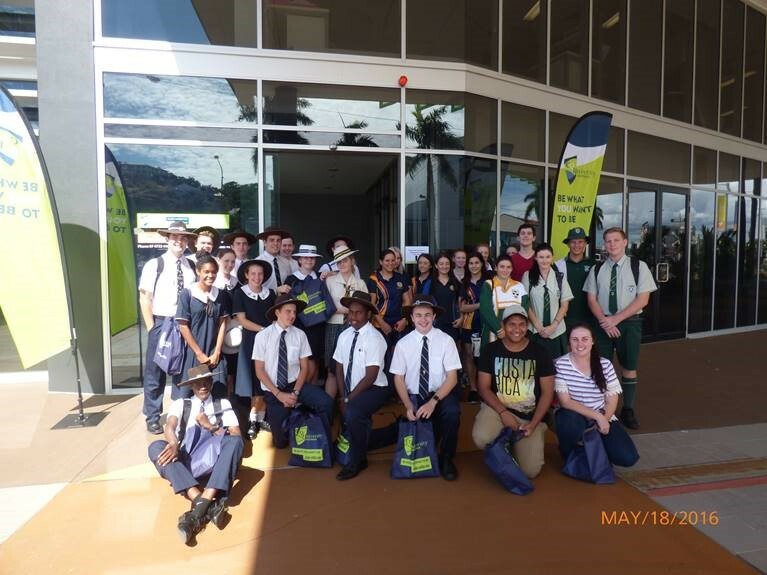 Hundreds of students this week got a taste of CQUni life at University Experience events held across our campus network. 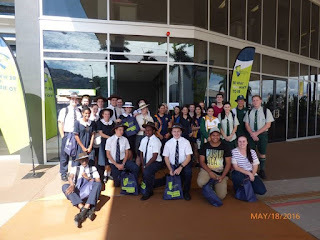 The events give students in Year 12 the opportunity to visit one of our campuses, find out what uni life is all about, talk to staff and current students, and participate in activities that will prepare them for study. The events are a great way to prepare our future students and to help those who are still unsure about what to do after school, make a decision about their future. 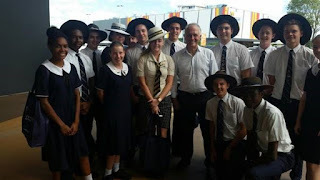 I'm told a lot of fun was had by all and that the students this year were full of questions about post-school education and training options in their local regions. Congratulations to our marketing team for hosting these events and helping these students with their decision-making. 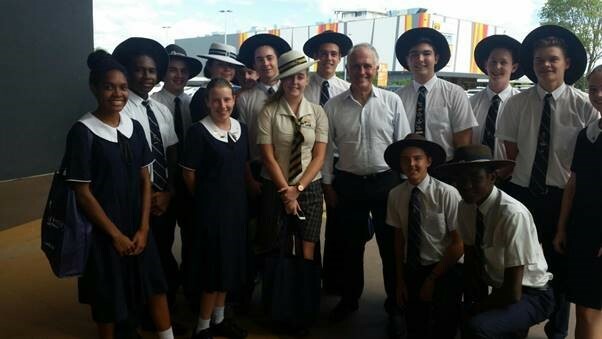 Students in Townsville also managed to get a little a little bit extra out of their uni experience day, when they bumped into our Prime Minister outside the CQUni Townsville campus, stopping him for a quick selfie and a chat while he was out and about on the campaign trail. I'm very proud of our Melbourne campus this week for hosting an extremely successful event, focusing on social innovation, as part of Melbourne Knowledge Week 2016. The public event allowed more than 100 aspiring social innovators to team up with and hear from socially innovative organisations including Engineers Without Borders, social enterprise developers Social Traders, and the School for Social Entrepreneurs. The key purpose of the event was to challenge attendees to identify opportunities to create innovation and change in their world by giving them practical advice and frameworks to make a difference. Participants also heard inspiring accounts of real-life social change from presenters Dr Andrew Ingham (School for Social Entrepreneurs), Mark Daniels (Social Traders) and Jane Hadjion (Engineers Without Borders). The session also involved an interactive brainstorming session that saw participants tackle four big issues including asylum seekers, public health, the environment and education, by developing and delivering four big ideas for each. CQUniversity is a university that is truly is setting the agenda for social innovation in education, with core values to empower its students, staff and communities to drive positive change. And, our Melbourne campus is certainly leading the way when it comes to engaging our community. We'll see more great events like this going forward, both at our Melbourne campus and at other campuses around our national footprint. In particular, there will be an event held at the Melbourne campus on 17 May, 2016 that will look into homelessness within the city. The event 'Sleeping on the streets of the world's most liveable city' will look at why more and more people are sleeping rough on Melbourne's streets. The session will also explore what types of simple and effective strategies may be implemented to by every member of the community to alleviate this situation. This event is free to attend and open to the public. For more on this event and others like it make sure you keep an eye on our events calendar on the CQUni webpage.